The Oral History Evaluation Guidelines are provided as a record. Please see the new document “Principles for Oral History and Best Practices” for Oral History for the Oral History Association’s current guidelines, adopted in September, 2009. 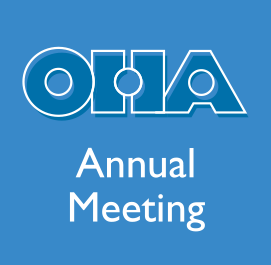 Since its founding in 1967 the Oral History Association (OHA) has grappled constantly with developing and promoting professional standards for oral historians. This has been no easy task, given the creative, dynamic, and multidisciplinary nature of the field. The OHA has sought to encourage the creation of recorded interviews that are as complete, verifiable, and usable as possible, and to discourage both inadequate interviewing and the misuse of history. Yet it recognizes that oral historians cannot afford to suppress ingenuity and inspiration nor to ignore new developments in scholarship and technology. The OHA issued its first “goals and guidelines” in 1968, broadly stating the principles, rights, and obligations that all interviewees, interviewers, and sponsoring institutions needed to take into consideration. Then in 1979, at the prompting of various granting agencies, leaders of the OHA met at the Wingspread Conference Center in Racine, Wisconsin, to produce a set of “evaluation guidelines.” These guidelines have since provided invaluable assistance to oral history projects of all sizes and purposes. Organized in checklist form, they offered reminders of the myriad of issues involved in conducting, processing, and preserving oral history interviews. Not every guideline applied to every project, but taken together they provided a common ground for dialogue among oral historians. Over the next decade, new issues arose. When the need for revision of the earlier guidelines became apparent, the OHA decided against convening another special meeting, as done at Wingspread, and instead appointed four committees to examine those sections of the evaluation guidelines that required revision or entirely new material. After a year’s work, the committees presented their proposals to the members of the Association at the annual meeting Galveston, Texas, in 1989, where their reports were discussed, amended, and adopted at the general business meeting. During the next year, the chairs of the four evaluation guidelines committees analyzed, revised, and expanded the Goals and Guidelines into a new Statement of Principles and Standards. They offered these standards for amendment and adoption by the membership at the annual meeting in Cambridge, Massachusetts, in November 1990. If that process sounds convoluted, it was. But its many stages were designed deliberately to foster thoughtful debate among the widest cross-section of oral history practitioners. As a result, the new standards and guidelines more specifically addressed the needs of independent and unaffiliated researchers, as well as those of the larger oral history programs and archives. They dealt with the problems and potentials of videotaped interviews. They raised issues about the use of oral history in the classroom by teachers and students. The most intense discussions predictably dealt with ethical issues. A greater awareness of the effects of race, class, gender, ethnicity, and culture on interviewing, together with a heightened concern over the impact that the oral history projects might have on the communities in which the interviews were conducted, were woven into both the Evaluation Guidelines and the Statement of Principles and Standards. The new guidelines and standards encouraged oral historians to make their interviews accessible to the community and to consider sharing the rewards and recognition that might result from their projects with their interviewees. They also sanctioned the use of anonymous interviews, although only in “extremely sensitive” circumstances. During the 1990s, the rapid advances in technology required yet another revision on the new ways of recording, preserving, using and distributing oral history. In 1998 an ad hoc committee presented additional revisions for discussion and adoption by the membership at the annual meeting in Buffalo, New York. These revisions included new sections on recording equipment and tape preservation, and aimed to encourage practitioners to pay more attention to technical standards and to new technology and media, particularly the Internet. At the same time they raised some of the ethical issues that the new technology posed. All of those who labored in the preparation of the principles and standards and the evaluation guidelines trust that they will offer positive assistance to anyone conducting oral history interviews.  While these guidelines and standards provide a basis for peer judgment and review, their success will ultimately depend more on the willingness of the individual oral historians and oral history projects to apply them to their own work. 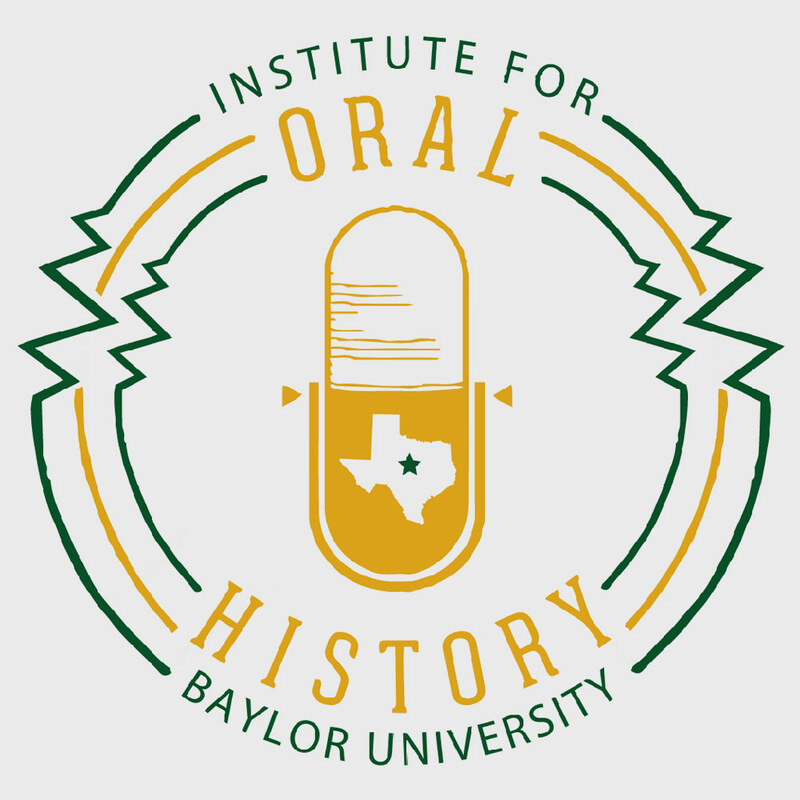 The Oral History Association promotes oral history as a method of gathering and preserving historical information through recorded interviews with participants in past events and ways of life. It encourages those who produce and use oral history to recognize certain principles, rights, technical standards, and obligations for the creation and preservation of source material that is authentic, useful, and reliable. These include obligations to the interviewee, to the profession, and to the public, as well as mutual obligations between sponsoring organizations and interviewers. People with a range of affiliations and sponsors conduct oral history interviews for a variety of purposes: to create archival records, for individual research, for community and institutional projects, and for publications and media productions. While these principles and standards provide a general framework for guiding professional conduct, their application may vary according to the nature of specific oral history projects. Regardless of the purpose of the interviews, oral history should be conducted in the spirit of critical inquiry and social responsibility and with a recognition of the interactive and subjective nature of the enterprise. 1. Interviewees should be informed of the purposes and procedures of oral history in general and of the aims and anticipated uses of the particular projects to which they are making their contributions. 2. Interviewees should be informed of the mutual rights in the oral history process, such as editing, access restrictions, copyrights, prior use, royalties, and the expected disposition and dissemination of all forms of the record, including the potential for electronic distribution. 3. Interviewees should be informed that they will be asked to sign a legal release.Interviews should remain confidential until interviewees have given permission for their use. 4. Interviewers should guard against making promises to interviewees that the interviewers may not be able to fulfill, such as guarantees of publication and control over the use of interviews after they have been made public. In all future uses, however, good faith efforts should be made to honor the spirit of the interviewee’s agreement. 5. Interviews should be conducted in accord with any prior agreements made with the interviewee, and such agreements should be documented for the record. 6. Interviewers should work to achieve a balance between the objectives of the project and the perspectives of the interviewees. They should be sensitive to the diversity of social and cultural experiences and to the implications of race, gender, class, ethnicity, age, religion, and sexual orientation. They should encourage interviewees to respond in their own style and language and to address issues that reflect their concerns. Interviewers should fully explore all appropriate areas of inquiry with the interviewee and not be satisfied with superficial responses. 7. Interviewers should guard against possible exploitation of interviewees and be sensitive to the ways in which their interviews might be used.Interviewers must respect the rights of interviewees to refuse to discuss certain subjects, to restrict access to the interview, or, under Guidelines extreme circumstances, even to choose anonymity.Interviewers should clearly explain these options to all interviewees. 8. Interviewers should use the best recording equipment within their means to accurately reproduce the interviewee’s voice and, if appropriate, other sounds as well as visual images. 9. Given the rapid development of new technologies, interviewees should be informed of the wide range of potential uses of their interviews. 10. Good faith efforts should be made to ensure that the uses of recordings and transcripts comply with both the letter and spirit of the interviewee’s agreement. 1. Oral historians have a responsibility to maintain the highest professional standards in the conduct of their work and to uphold the standards of the various disciplines and professions with which they are affiliated. 2. In recognition of the importance of oral history to an understanding of the past and of the cost and effort involved, interviewers and interviewees should mutually strive to record candid information of lasting value and to make that information accessible. 3. Interviewees should be selected based on the relevance of their experiences to the subject at hand. 4. Interviewers should possess interviewing skills as well as professional competence and knowledge of the subject at hand. 5. Regardless of the specific interests of the project, interviewers should attempt to extend the inquiry beyond the specific focus of the project to create as complete a record as possible for the benefit of others. 6. Interviewers should strive to prompt informative dialogue through challenging and perceptive inquiry. They should be grounded in the background of the persons being interviewed and, when possible, should carefully research appropriate documents and secondary sources related to subjects about which the interviewees can speak. 7. Interviewers should make every effort to record their interviews using the best recording equipment within their means to reproduce accurately the interviewee’s voice and, if appropriate, image. They also should collect and record other historical documentation the interviewee may possess, including still photographs, print materials, and other sound and moving image recordings, if appropriate. 8. Interviewers should provide complete documentation of their preparation and methods, including the circumstances of the interviews. 9. Interviewers and, when possible, interviewees should review and evaluate their interviews, including any summaries or transcriptions made from them. 10. With the permission of the interviewees, interviewers should arrange to deposit their interviews in an archival repository that is capable of both preserving the interviews and eventually making them available for general use. Interviewers should provide basic information about the interviews, including project goals, sponsorship, and funding. Preferably, interviewers should work with repositories before conducting the interviews to determine necessary legal Guidelines arrangements. If interviewers arrange to retain first use of the interviews, it should be only for a reasonable time before public use. 11. Interviewers should be sensitive to the communities from which they have collected oral histories, taking care not to reinforce thoughtless stereotypes nor to bring undue notoriety to them. Interviewers should take every effort to make the interviews accessible to the communities. 12. Oral history interviews should be used and cited with the same care and standards applied to other historical sources. Users have a responsibility to retain the integrity of the interviewee’s voice, neither misrepresenting the interviewee’s words nor taking them out of context. 13. Sources of funding or sponsorship of oral history projects should be made public in all exhibits, media presentations, or publications that result from the projects. 14. Interviewers and oral history programs should conscientiously consider how they might share with interviewees and their communities the rewards and recognition that might result from their work. 1. Institutions sponsoring and maintaining oral history archives have a responsibility to interviewees, interviewers, the profession, and the public to maintain the highest technical, professional, and ethical standards in the creation and archival preservation of oral history interviews and related materials. 2. Subject to conditions that interviewees set, sponsoring institutions (or individual collectors) have an obligation to: prepare and preserve easily usable records; keep abreast of rapidly developing technologies for preservation and dissemination; keep accurate records of the creation and processing of each interview; and identify, index, and catalog interviews. 3. Sponsoring institutions and archives should make known through a variety of means, including electronic modes of distribution, the existence of interviews open for research. 4. Within the parameters of their missions and resources, archival institutions should collect interviews generated by independent researchers and assist interviewers with the necessary legal agreements. 5. Sponsoring institutions should train interviewers. Such training should: provide them basic instruction in how to record high fidelity interviews and, if appropriate, other sound and moving image recordings; explain the objectives of the program to them; inform them of all ethical and legal considerations governing an interview; and make clear to interviewers what their obligations are to the program and to the interviewees. 6. Interviewers and interviewees should receive appropriate acknowledgment for their work in all forms of citation or usage. 7. Archives should make good faith efforts to ensure that uses of recordings and transcripts, especially those that employ new technologies, comply with both the letter and spirit of the interviewee’s agreement. 1. Are the purposes clearly set forth? How realistic are they? 2. What factors demonstrate a significant need for the project? 3. What is the research design? How clear and realistic is it? 4. Are the terms, conditions, and objectives of funding clearly made known to judge the potential effect of such funding on the scholarly integrity of the project? Is the allocation of funds adequate to allow the project goals to be accomplished? 5. How do institutional relationships affect the purposes and objectives? 1. Should the interview be recorded on sound or visual recording equipment? 2. Are the best possible recording equipment and media available within one’s budget being used? 3. Are interviews recorded on a medium that meets archival preservation standards? 4. d. How well has the interviewer mastered use of the equipment upon which the interview will be recorded? 1. In what ways are the interviewers and interviewees appropriate (or inapropriate) to the purposes and objectives? 2. What are the significant omissions and why were they omitted? 1. What are the policies and provisions for maintaining a record of the provenance of interviews? Are they adequate? What can be done to improve them? 2. How are records, policies, and procedures made known to interviewers, interviewees, staff, and users? 3. How does the system of records enhance the usefulness of the interviews and safeguard the rights of those involved? 1. How accurate and specific is the publicizing of the interviews? 2. How is information about interviews directed to likely users? Have new media and electronic methods of distribution been considered to publicize materials and make them available? 3. How have the interviews been used? 1. What is the overall design for finding aids? 2. Are the finding aids adequate and appropriate? 3. How available are the finding aids? 4. Have new technologies been used to develop the most effective finding aids? 1. How effective is the management of the program/project? 2. What are the provisions for supervision and staff review? 3. What are the qualifications for staff positions? 4. What are the provisions for systematic and effective training? 5. What improvements could be made in the management of the program/project? 1. The interviewees are made fully aware of the goals and objectives of the oral history program/project? 2. The interviewees are made fully aware of the various stages of the program/project and the nature of their participation at each stage? 3. The interviewees are given the opportunity to respond to questions as freely as possible and are not subjected to stereotyped assumptions based on race, ethnicity, gender, class, or any other social/cultural characteristic? 4. The interviewees understand their rights to refuse to discuss certain subjects, to seal portions of the interviews, or in extremely sensitive circumstances even to chooseto remain anonymous? 5. The interviewees are fully informed about the potential uses of the material, including deposit of the interviews in a repository, publication in all forms of print or electronic media, including the Internet or other emerging technologies, and all forms of public programming? 6. The interviewees are provided a full and easily comprehensible explanation of their legal rights before being asked to sign a contract or deed of gift transferring rights, title, and interest in the tape(s) and transcript(s) to an administering authority or individual? 7. Care is taken so that the distribution and use of the material complies with the letter and spirit of the interviewees’ agreements? 8. All prior agreements made with the interviewees are honored? 9. The interviewees are fully informed about the potential for and disposition of royalties that might accrue from the use of their interviews, including all forms of public programming? 10. The interviews and any other related materials will remain confidential until the interviewees have released their contents? 1. The interviewer has considered the potential for public programming and research use of the interviews and has endeavored to prevent any exploitation of or harm to interviewees? 2. The interviewer is well trained to conduct the interview in a professional manner, including the use of appropriate recording equipment and media? 3. The interviewer is well grounded in the background of the subject(s) to be discussed? 4. The interview will be conducted in a spirit of critical inquiry and that efforts will be made to provide as complete a historical record as possible? 5. The interviewees are selected based on the relevance of their experience to the subject at hand and that an appropriatecross-section of interviewees is selected for any particular project? 6. The interview materials, including recordings, transcripts, relevant photographic, moving image, and sound documents as wellas agreements and documentation of the interview process, will be placed in a repository after a reasonable period of time, subject to the agreements made with the interviewee and that the repository will administer their use in accordance with those agreements? 7. The methodologies of the program/project, as well as its goals and objectives, are available for the general public to evaluate? 8. The interview materials have been properly cataloged, including appropriate acknowledgment and credit to the interviewer, and that their availability for research use is made known? 1. Interviewers are made aware of the program goals and are fully informed of ethical and legal considerations? 2. Interviewers are fully informed of all the tasks they are expected to complete in an oral history project? 3. Interviewers are made fully aware of their obligations to the oral history program/sponsoring institution, regardless of their own personal interest in a program/project? 4. Programs/sponsoring institutions treat their interviewers equitably by providing for appropriate compensation, acknowledging all products resulting from their work, and supporting fieldwork practices consistent with professional standards whenever there is a conflict betweenthe parties to the interview? 5. Interviewers are fully informed of their legal rights and of their responsibilities to both the interviewee and to the sponsoring institution? 1. The oral history materials and all works created from them will be available and accessible to the community that participated in the project? 2. Sources of extramural funding and sponsorship are clearly noted for each interview of project? 3. The interviewers and project endeavor not to impose their own values on the community being studied? 4. The tapes and transcripts will not be used unethically? 1. Appropriate care and storage of the original recordings begins immediately after their creation? 3. Original recordings are re-duplicated onto the best preservation media before significant deterioration occurs? 4. Every effort is made in duplicating tapes to preserve a faithful facsimile of the interviewee’s voice? 5. All transcribing, auditing, and other uses are done from a duplicate, not the original recording? 1. Are the names of both interviewer and interviewee clearly indicated on the tape/abstract/transcript and in catalog materials? 2. Is there adequate biographical information about both interviewer and interviewee? Where can it be found? 1. Are the tapes, transcripts, time indices, abstracts, and other materials presented for use identified as to the program/project of which they are a part? 2. Are the date and place of the interview indicated on the tape, transcript, time index, and abstract and in appropriate catalog material? 3. Are there interviewers’ statements about the preparation for or circumstances of the interviews? Where? Are they generally available to researchers? How are the rights of the interviewees protected against improper use of such commentaries? 4. Are there records of contracts between the program and the interviewee? How detailed are they? Are they available to researchers? If so, with what safeguards for individual rights and privacy? 1. Is the complete original tape preserved? Are there one or more duplicate copies? 2. If the original or any duplicate has been edited, rearranged, cut, or spliced in any way, is there a record of that action, including by whom, when, and for what purposes the action was taken? 3. Do the tape label and appropriate catalog materials show the recording speed, level, and length of the interview? If videotaped, do the tape label and appropriate catalog information show the format (e.g., U-Matic, VHS, 8mm, etc.) and scanning system and clearly indicate the tracks on which the audio and time code have been recorded? 4. In the absence of transcripts, are there suitable finding aids to give users access to information on the tapes? What form do they take? Is there a record of who prepared these finding aids? 5. Are researchers permitted to listen to or view the tapes? Are there any restrictions on the use of the tapes? 1. Is the transcript an accurate record of the tape? Is a careful record kept of each step of processing the transcript, including who transcribed, audited, edited, retyped, and proofread the transcripts in final copy? 2. Are the nature and extent of changes in the transcript from the original tape made known to the user? 3. What finding aids have been prepared for the transcript? Are they suitable and adequate? How could they be improved? 4. Are there any restrictions on access to or use of the transcripts? Are they clearly noted? 5. Are there any photo materials or other supporting documents for the interview? Do they enhance and supplement the text? 6. If videotaped, does the transcript contain time references and annotation describing the complementary visuals on the videotape? Does the content of each interview and the cumulative content of the whole collection contribute to accomplishing the objectives of the program/project? 1. In what particulars does each interview or the whole collection succeed or fall short of the objectives of the project or program? 2. Do audio and visual tapes in the collection avoid redundancy and supplement one another in interview content and focus? In what ways does the program/project contribute to historical understanding? 1. In what particulars does each interview or the whole collection succeed or fall short in making such a contribution? 2. To what extent does the material add fresh information, fill gaps in the existing record, and/or provide fresh insights and perspectives? 3. To what extent is the information reliable and valid? Is it eyewitness or hearsay evidence? How well and in what manner does it meet internal and external tests of corroboration, consistency, and explication of contradictions? 4. What is the relationship of the interview information to existing documentation and historiography? 5. How does the texture of the interview impart detail, richness, and flavor to the historical record? 6. What is the nature of the information contributed? Is it facts, perceptions, interpretations, judgments, or attitudes, and how does each contribute to understanding? 7. Are the scope, volume, and representativeness of the population interviewed appropriate and sufficient to the purpose? Is there enough testimony to validate the evidence without passing the point of diminishing returns? How appropriate is the quantity to the purposes of the study? 8. How do the form and structure of the interviews contribute to making the content understandable? 9. To what extent does the audio and/or video recording capture unique sound and visual information? 10. Do the visual and other sound elements complement and/or supplement the verbal information? Has the interview captured processes, objects, or other individuals in the visual and sound environment? 1. Is the oral history technique the best way to acquire the information? If not, what other sources exist? Has the interviewer used them and sought to preserve them if necessary? 2. Has the interviewer made an effort to consult other relevant oral histories? 3. Is the interview technique a valuable way to supplement existing sources? 4. Do videotaped interviews complement, not duplicate, existing still or moving visual images? 1. Is the interviewer well informed about the subjects under discussion? 2. Are the primary and secondary sources used to prepare for the interview adequate? 3. Has the interviewer mastered the use of appropriate recording equipment and the field- recording techniques that insure a high-fidelity recording? 1. Does the interviewee seem appropriate to the subjects discussed? 2. Does the interviewee understand and respond to the interview purposes? 3. Has the interviewee prepared for the interview and assisted in the process? 4. If a group interview, have composition and group dynamics been considered in selecting participants? 1. Do interviewer and interviewee collaborate with each other toward interview objectives? 2. Is there a balance between empathy and analytical judgment in the interview? 3. If videotaped, is the interviewer/interviewee relationship maintained despite the presence of a technical crew? Do the technical personnel understand how a videotaped oral history interview differs from a scripted production? 1. In what ways does the interview show that the interviewer has used skills appropriate to: the interviewee’s condition (health, memory, metal alertness, ability to communicate, time schedule, etc.) and the interview location and conditions (disruptions and interruptions, equipment problems, extraneous participants, background noises, etc.)? 2. What evidence is there that the interviewer has: thoroughly explored pertinent lines of thought? followed up on significant clues? Made an effort to identify sources of information? Employed critical challenges when needed? Thoroughly explored the potential of the visual environment, if videotaped? 3. Has the progam/project used recording equipment and media that are appropriate for the purposes of the work and potential nonprint as well as print uses of the material? Are the recordings of the highest appropriate technical quality? How could they be improved? 4. If videotaped, are lighting, composition, camera work, and sound of the highest appropriate technical quality? 5. In the balance between content and technical quality, is the technical quality good without subordinating the interview process? 1. Do the biases of the interviewer interfere with or influence the responses of the interviewee? 2. What information is available that may inform the users of any prior or separate relationship between the interviewer and interviewee? 1. Does the interviewer pursue the inquiry with historical integrity? 2. Do other purposes being served by the interview enrich or diminish quality? 3. What does the interview contribute to the larger context of historical knowledge and understanding? 1. Has the independent/unaffiliated researcher followed the guidelines for obtaining interviews as suggested in the Program/Project Guideline section? 2. 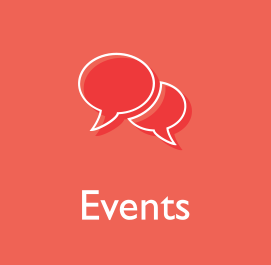 Have proper citation and documentation been provided in works created (books, articles, audio-visual productions, or other public presentations) to inform users of the work about the interviews used and the permanent location of the interviews? 3. Do works created include an explanation of the interview project, including editorial procedures? 4. Has the independent/unaffiliated researcher arranged to deposit the works created in an appropriate repository? 1. Has the independent/unaffiliated researcher properly obtained the agreement of the repository before making representations about the disposition of the interviews? 2. Is the transfer consistent with agreements or understandings with interviewees? Were legal agreements obtained from interviewees? 3. Has the researcher provided the repository with adequate descriptions of the creation of the interviews and the project? 4. What is the technical quality of the recorded interviews? Are the interviews transcribed, abstracted, or indexed, and, if so, what is the quality? 1. Become familiar with the “Oral History Evaluation Guidelines” and conveyed their substance to the student? 2. Ensured that each student is properly prepared before going into the community to conduct oral history interviews, including familiarization with the ethical issues surrounding oral history and the obligation to seek the informed consent of the interviewee? 3. Become familiar with the literature, recording equipment, techniques, and processes of oral history so that the best possible instruction can be presented to the student? 4. Worked with other professionals and organizations to provide the best oral history experience for the student? 5. Considered that the project may merit preservation and worked with other professionals and repositories to preserve and disseminate these collected materials? 6. 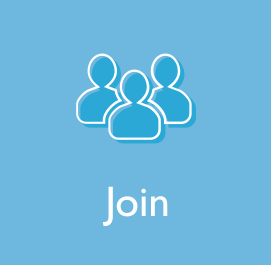 Shown willingness to share expertise with other educators, associations, and organizations? 1. Become thoroughly familiar with the equipment, techniques, and processes of oral history interviewing and the development of research using oral history interviews? 2. Explained to the interviewee the purpose of the interview and how it will be used and obtained the interviewee’s informed consent to participate? 3. Treated the interviewee with respect? 4. Signed a receipt for and returned any materials borrowed from the interviewee? 5. Obtained a signed legal release for the interview? 6. Kept her/his word about oral or written promises made to the interviewee? 7. Given proper credit (oral or written) when using oral testimony and used the material in context? Allen, Barbara, and William Lynwood Montell. From Memory to History: Using Oral Sources in Local Historical Research. Nashville: American Association for State and Local History, 1981. Baum, Willa K. Oral History for the Local Historical Society Revised edition. Nashville: American Association for State and Local History, 1987. ________ Transcribing and Editing Oral History. Nashville: American Association for State and Local History, 1977. Brecher, Jeremy. History from Below: How to Uncover and Tell the Story of Your Community, Association, or Union. New Haven, Conn.: Commonwork Pamphlets/Advocate Press, 1986. Charlton, Thomas L. Oral History for Texans 2d ed. Austin: Texas Historical Commission, 1985. Davis, Cullom, et al. Oral history: from tape to type. Chicago: American Library Association, 1977. Douglass, Enid H. Oral History, in David F. Trask and Robert W. Pomeroy, eds., The Craft of Public History: An Annotated Select Bibliography. Westport, Conn.: Greenwood Press, 1983. Dunaway, David K., and Willa K. Baum, eds. Oral History: An Interdisciplinary Anthology. Nashville: American Association for State and Local History in cooperation with the Oral History Association, 1984. Fletcher, William. Recording Your Family History: A Guide to Preserving Oral History with Video Tape, Audio Tape, Suggested Topics and Questions, Interview Techniques. New York: Dodd, Mead & Co., 1987. Grele, Ronald J., ed. Envelopes of Sound: The Art of Oral History. Revised edition. Westport, Conn.: Meckler, 1990. Henige, David. Oral Historiography. New York: Longman, 1982. Hoffman, Alice M., and Howard S. Hoffman. Archives of Memory: A Soldier Recalls World War II. Lexington: University Press of Kentucky, 1990. Hoopes, James. Oral History: An Introduction for Students. Chapel Hill: University of North Carolina Press, 1979. Ives, Edward D. An Oral Historian’s Work. Oral History Instructional Videotape. Northeast Historic Film, Rt. 175, Blue Hill Falls, ME 04615. Ives, Edward D. The Tape-Recorded Interview: A Manual for Fieldworkers in Folklore and Oral History. Knoxville: University of Tennessee Press, 1980. Jeffrey, Jaclyn, and Glenace Edwall, eds. Memory and History: Essays on Remembering and Interpreting Human Experience. Lanham, Md. : University Press of America, 1992. Jolly, Brad. Videotaping Local History. Nashville: American Association for State and Local History, 1982. Joutard, Philippe. Ces voix qui nous viennent du passe. Paris: Hachette, 1983. Labrie, Vivian. Precis de transcription de documents d’archives orales. Quebec: Institut Quebecois de Recherche sur la Culture, 1982. Lanman, Barry A., and George L. Mehaffy. Oral History in the Secondary School Classroom. Los Angeles: Oral History Association, Pamphlet No. 2, 1989. Mercier, Laurie, and Madeline Buckendorf. Using Oral History in Community History Projects. Los Angeles: Oral History Association, Pamphlet No. 4, 1992. Mishler, Elliot G. Research Interviewing: Context and Narrative. Cambridge: Harvard University Press, 1986. Moss, William W. Archives, Oral History and Oral Tradition: A RAMP Study. Paris: UNESCO, 1986. Moss, William W. Oral History Program Manual. New York: Praeger, 1974. Nathan, Harriet. Critical Choices in Interviews: Conduct, Use, and Research Role. Berkeley, Calif.: Institute of Governmental Studies, 1986. Neuenschwander, John A. ” Oral History and the Law.” Los Angeles: Oral History Association, Pamphlet No. 1, 1985. Oblinger, Carl. Interviewing the People of Pennsylvania. Harrisburg: Pennsylvania Historical and Museum Commission, 1978. Oral History Association. The Oral History Review, published twice a year; OHA Newsletter, published quarterly. Oral History Index. Westport, Conn.: Meckler, 1990. Portelli, Alessandro. The Death of Luigi Trastulli and Other Stories: Form and Meaning in Oral History. Albany: State University of New York Press, 1991. Ritchie, Donald. Doing Oral History. New York: Twayne Publishers, 1995. Sapriza, Graciela. Historia oral e historia de vida: Aportes para una historiografia feminista. Montevideo: Grecmu . Seminario de Historia Oral del Departamento de Historia Contemporanea de la Universidad de Barcelona. Historia y Fuente Oral. Published twice a year. Shopes, Linda. Using Oral History for a Family History Project. Nashville: American Association for State and Local History, Technical Leaflet 123, 1980. Sitton, Thad, et al. Oral History: A Guide for Teachers (and Others). Austin: University of Texas Press, 1983. Smith, Allen, ed. Directory of Oral History Collections. Phoenix, Ariz.: Oryz Press, 1987. Sommer, Barbara and Mary Kay Quinlan. Oral History Manual. New York: Alta Mira Press, 2002. Stielow, Frederick J. The Management of Oral History Sound Archives. Westport, Conn.: Greenwood Press, 1986. Stricklin, David, and Rebecca Sharpless, eds. The Past Meets the Present: Essays on Oral History. Lanham, Md. : University Press of America, 1988. Thompson, Paul. Oral History: The Voice of the Past. Revised edition. New York: Oxford University Press, 1988. Vansina, Jan. Oral Tradition as History. Madison: University of Wisconsin Press, 1985. Wood, Linda P. Oral History Projects in Your Classroom. Carlisle, PA: Oral History Association, 2001. Yow, Valerie Raleigh. Recording Oral History: A Practical Guide for Social Scientists. Thousand Oaks, CA: Sage Publications, Inc., 1994.